July is an extremely important month in the literary world. On 18th July it will be 200 years since Jane Austen died, at the tragically early age of 41, in Winchester. She left us a legacy of six completed novels, two unfinished ones, some juvenilia, letters and a few poems and other small pieces. The world will be marking this important anniversary in many ways. 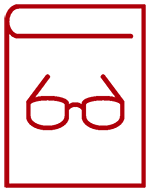 There will be exhibitions, talks, dances, guided walks, conferences, afternoon teas, trivia nights, and events hosted by Jane Austen societies in Argentina, Australia, Brazil, Czech Republic, England, Denmark, Italy, Japan, Netherlands, New Zealand, North America, Pakistan, Scotland, Singapore and Spain. This month the Bank of England will issue a £10 note, featuring Jane Austen, and also a £2 coin – this will make Jane Austen the first person ever (apart from the reigning monarch) to appear on her country’s bank note and coin simultaneously. Public benches decorated with scenes from her novels are being erected around England, a new statue of Jane Austen is being placed in the Basingstoke marketplace, in Hampshire a project called ‘Rain Jane’ will make words from her novels appear as if by magic when it rains, and several new books about her life and works are being published this year. I will be giving a talk on the day of this anniversary, and then meeting with good friends who share my love of her novels, so that we can marvel together at all she created. I will also sit quietly and read over some especially beloved passages from the books which have given me more pleasure than any others. It is no exaggeration to say that my life has been totally changed by Jane Austen’s novels. When I was about 12 years old, on a family holiday in Christchurch, NZ, my mother suddenly announced that she thought I might be ready for Pride and Prejudice. I lay at the end of her bed, while she sat and read aloud to me. Little did I then dream that the book would shape the course of my life! To celebrate this anniversary, I am giving several talks in Sydney, will speak on radio, will participate in various events being held in Australia, and will give a talk at a bookstore in the Netherlands. However, I have also written a memoir, showing just how Jane Austen has shaped my career, my social life, and my travels. 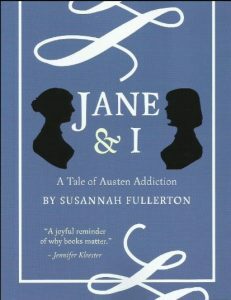 My new book is called Jane & I: A Tale of Austen Addiction. It can be ordered through my website (only $20, including postage in Australia), or you can buy it at any of my talks in the coming months. I had huge fun telling the story of how I slowly grew addicted, and choosing photos of my earlier years to include in it. I have also added a guide to Jane Austen addiction in 10 easy steps, so that you too can become a Jane Austen addict. I recommend different biographies, critical works and novels featuring Jane Austen or her characters. There is no better addiction to have, and there is no known cure. I would be delighted if you were to order my new book and read it. You will also find out many things you didn’t know about the person who sends you this newsletter every month. Once you have received your copy of Jane & I: A Tale of Austen Addiction increase your enjoyment with a FREE Companion Guide. 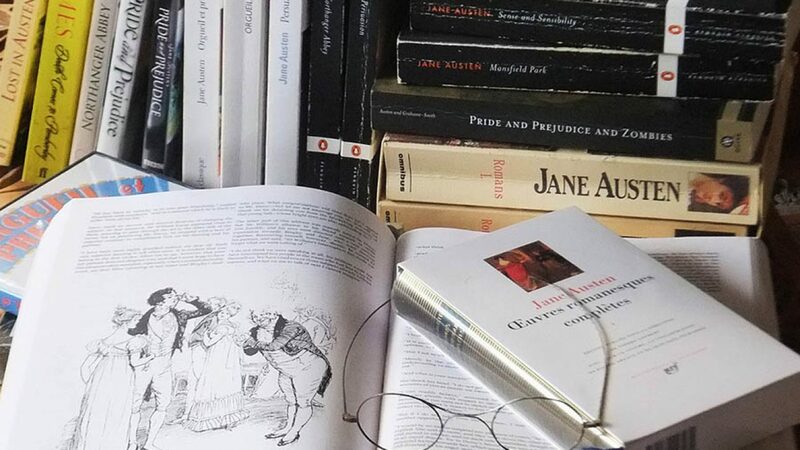 Susannah has prepared this recommended reading list to accompany Jane & I: A Tale of Austen Addiction with a list of resources and other relevant readings. Hearty congratulations, Susannah, on your well-deserved awards; your literary passions and knowledge have informed and inspired so many! For myself, I am looking forward to teaching Austen’s _Emma_ to a new batch of university students this semester: always such a delight. Like you, I adore her! I also shall have the great pleasure of being in Jane Austen country (Chawton and Hampshire surrounds) in September, so am looking forward to walking in Austen countryside – and viewing the new Austen rose launched this year in England. Thanks so much, Barbara.how gorgeous for you to be in Jane Austen country at this time. And to teach ‘Emma’ will be fabulous. I have just been ding some public readings from it, which reminded me yet again of its total brilliance. Congratulations Susannah and thank you for sharing your passion. You are inspiring! Thanks so much. I feel so touched by all the lovely messages I have received. Congratulations Susannah on your much deserved awards, your a beacon of literary hope and inspiration to so many. On your recommendation I’ve just purchased First Impressions by Charlie Lovett, you are the word and I’m listening to every one of them. Thanks for your very kind words. I am glad I have given some inspiration in reading choices. I hope you enjoy Charlie Lovett. I have so enjoyed his books. Charlie will wait! Sounds like Margi is a hard taskmaster! Your such a brilliant speaker Susannah you would make a shopping list compelling listening, more popular than vanilla ice cream but not as fattening. Book recommendations from like minded people are the food of life. Thanks for the lovely compliment, Brian. I am lucky that I love public speaking and inherited a talent for it from my Dad. Dear Susannah, Hear, hear to your excellent letter in today’s SMH travel section! I too was appalled by that puerile article last Saturday to “mark” the 200th anniversary of Jane’s death. Utterly insulting and a very sad commentary on editorial standards. Many thanks, Margaret, and I am so glad you agree. It was a piece of sloppy, arrogant journalism, and full of errors. For example, he commented that the graveyard at Steventon was “awash with Austens”. There are actually only two Austens buried there – hardly ‘awash’! And who describes a graveyard as being ‘awash’ with bodies anyway? I am relieved they published my reply, and also my comment in the Postscript section of the main letters page. So JASA got good publicity today. Yes, I did like your subtle response to the man who though her prose was impenetrable. Good grief! I have never read more elegant prose than Jane’s. Her prose is a model for elegance, clarity and brilliance – every word well chosen. That silly man has probably not opened a JA novel since he was at school.